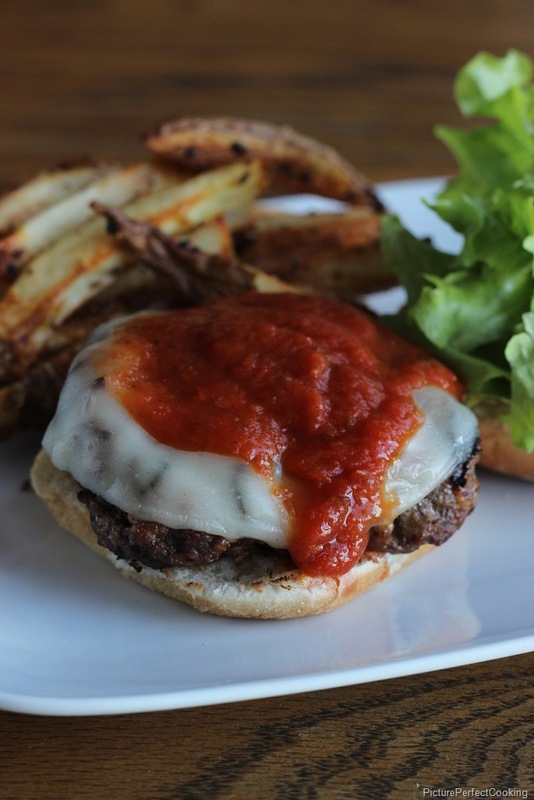 How could you go wrong by combining Italian flavors with a grilled hamburger? You can’t! I found this recipe on Pinterest from Julie’s Eat and Treats and knew it had to be good. 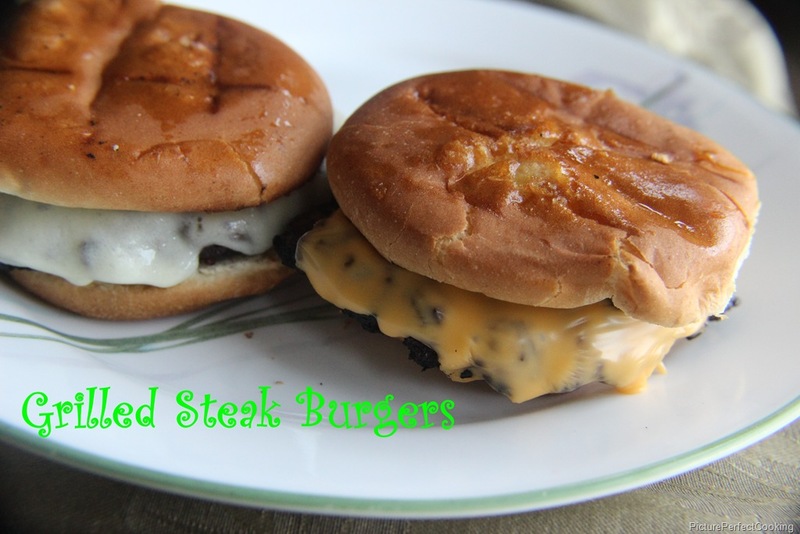 We love burgers around here and the addition of shredded cheese and seasonings put these over the top. Preheat your grill to medium-high heat. 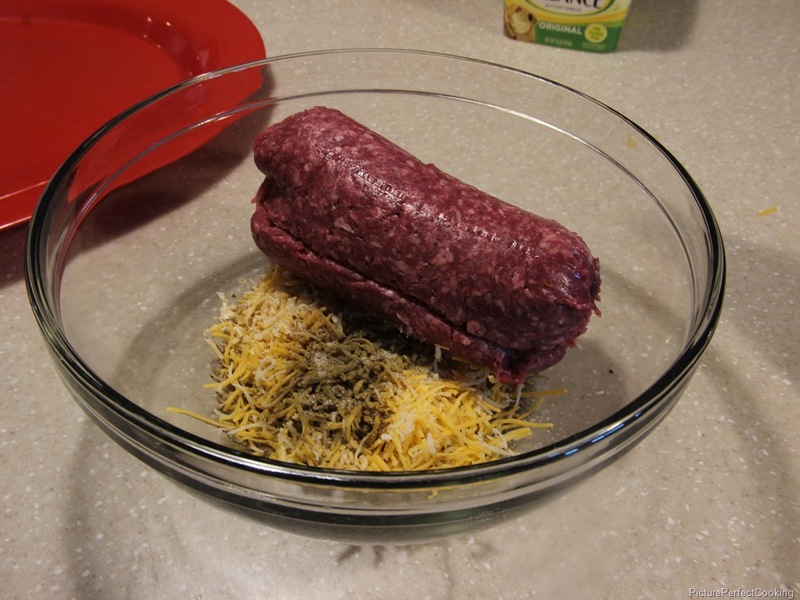 Combine the shredded cheese, Worcestshire sauce, garlic powder, pepper, salt, onion flakes and oregano in a bowl. Add the ground beef and thoroughly combine. 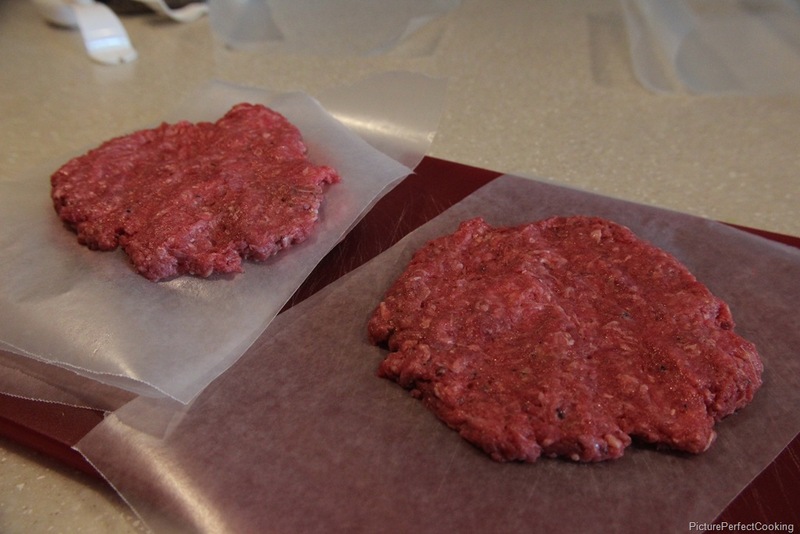 Form the meat mixture into four patties. 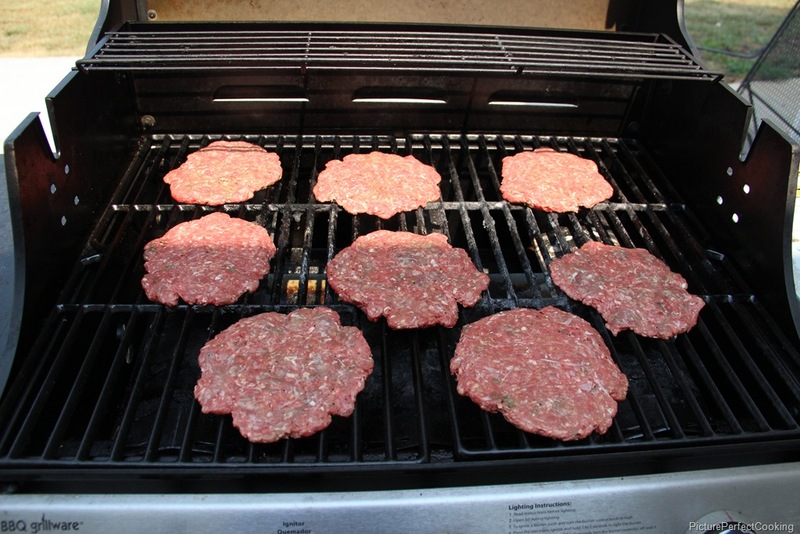 Turn the grill down to medium and cook the burgers for four to five minutes on each side. Butter the buns on each side. 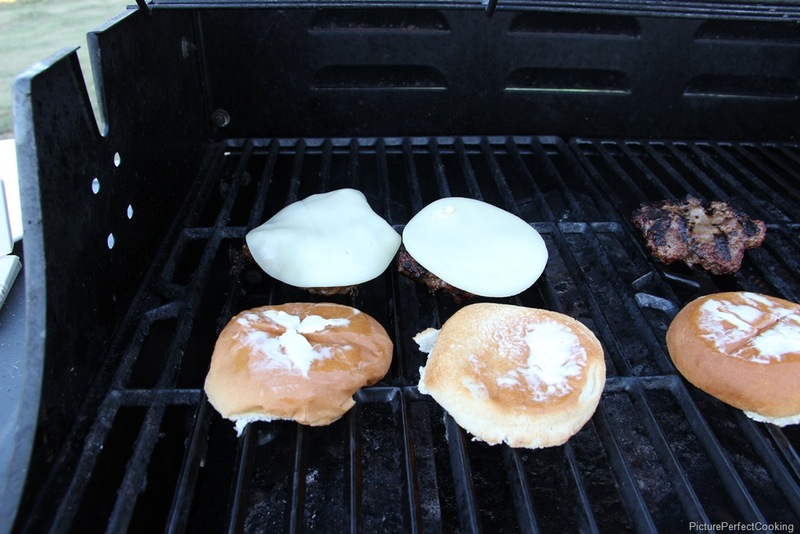 Turn the grill down to low and place the buns on the grill to lightly toast. Place the cheese slices on the burger to melt. 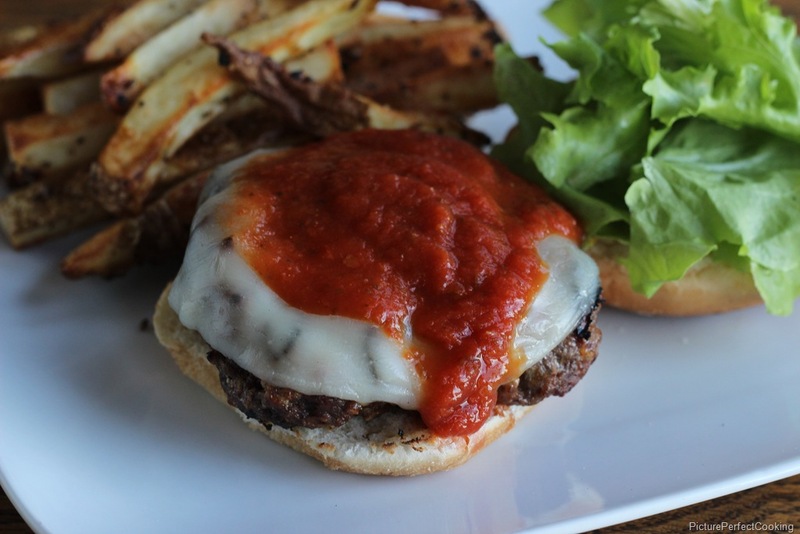 Place the burgers on the buns and pour two tablespoons of the pasta sauce on the burger and then add your favorite burger toppings. 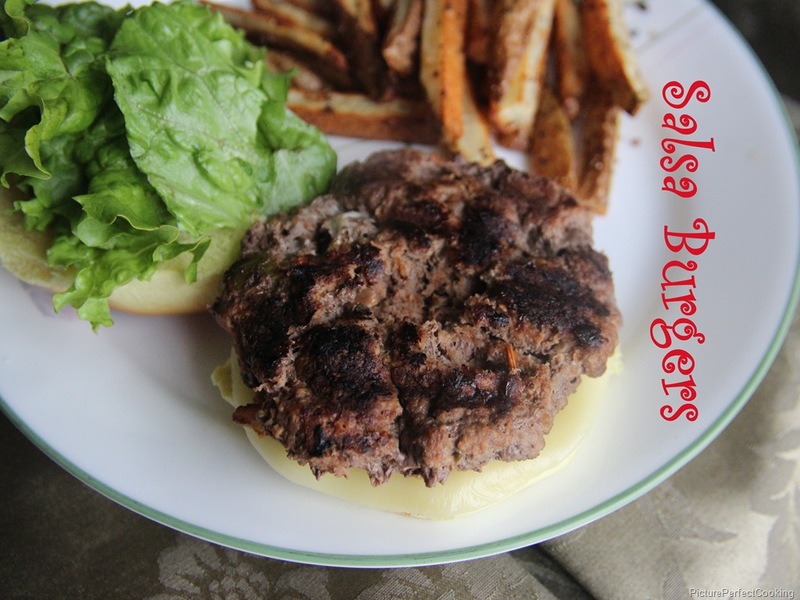 Salsa Burgers are another quick and easy meal idea from the folks at Plain Chicken. I love their recipes so please go check them out when you have time. Every recipe of theirs that I have tried has been delicious and I use them over and over which I can’t say about a lot of others. These burgers turned out so tender and juicy that they just fell apart when I tried to get them on the buns. I had a couple left over so C & I had them for lunch the next day. The crumbled one made a great salad topping. 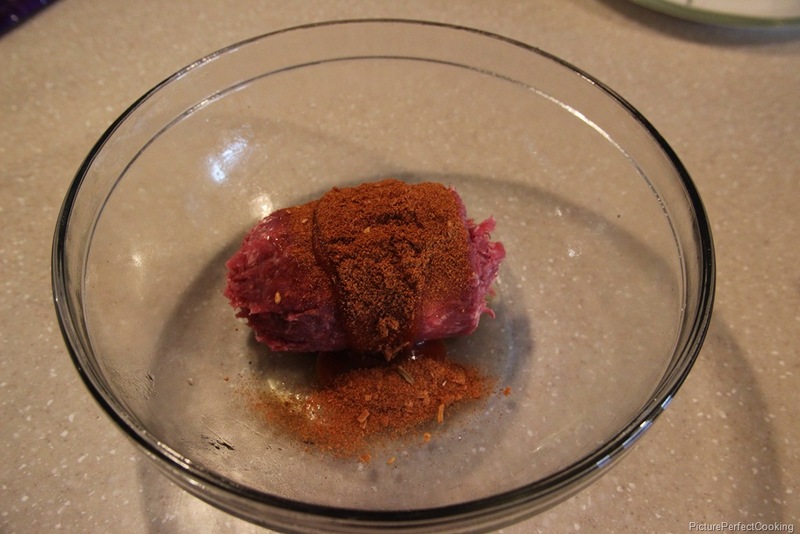 In a large bowl, combine the beef, egg, salsa and seasoning. Combine thoroughly and form into 4 patties. Grill or broil to desired doneness then top with cheese. 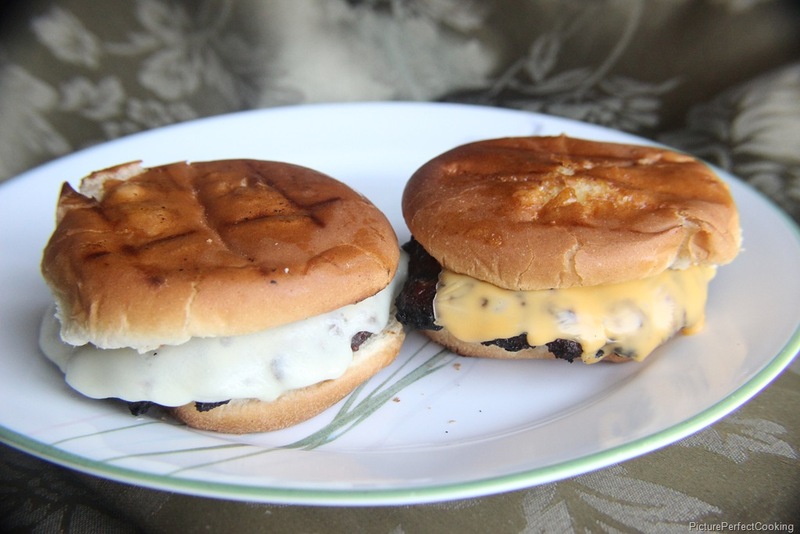 Let the cheese melt then serve on buns with the toppings of your choosing. This recipe is one of the first I pinned to my Recipes to Try board on Pinterest and I finally took the time to try it. I am so glad I did because the taste is really outstanding. 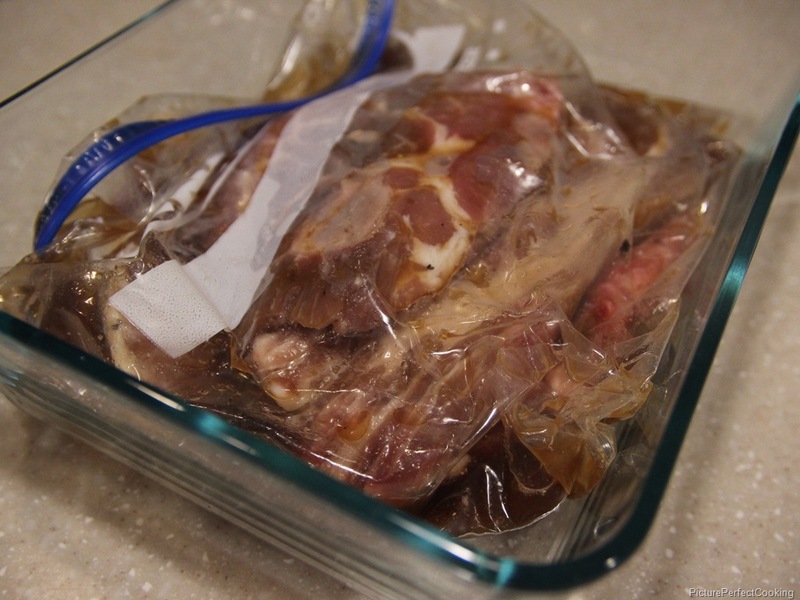 I usually don’t marinate meats that much, but the pineapple juice and soy sauce really give the chops loads of extra flavor and helps to keep them moist. The grilled pineapple slices weren’t too shabby either. This recipe is from Allrecipes.com which is one of my go-to sites when I am looking for something new. Drain the pineapple rings, catching the juice into a bowl. Keep the pineapple itself for later. 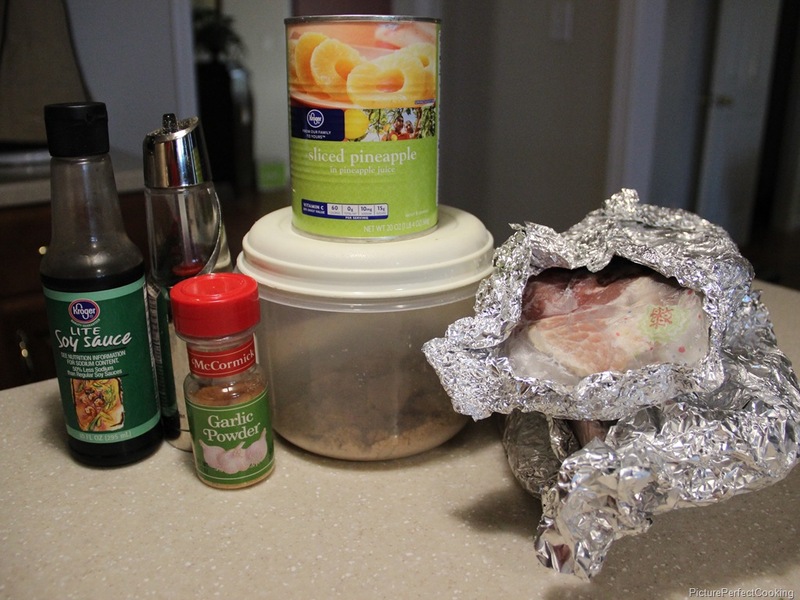 Combine the reserved juice, brown sugar, soy sauce, garlic powder and black pepper in a zip top bag. 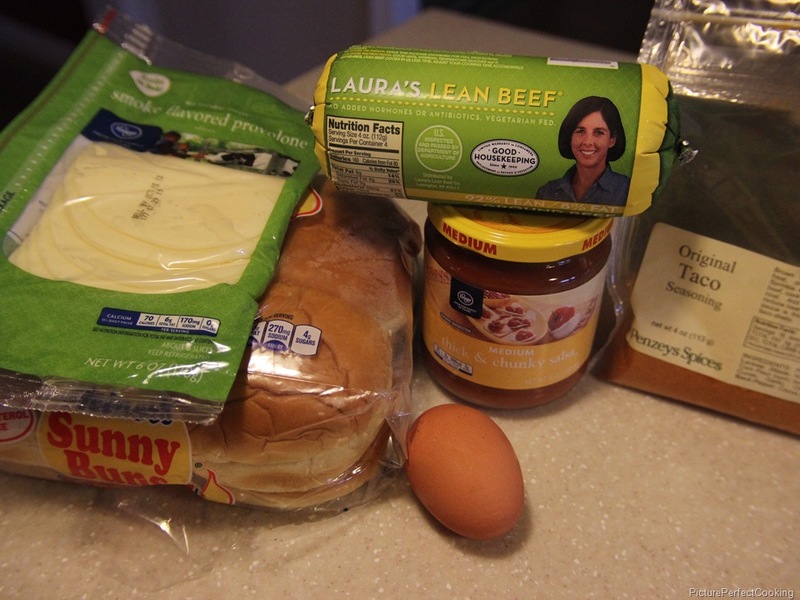 Knead the bag with your hands a few times to mix the ingredients completely. Add the chops and shake to coat. Refrigerate for several hours. Oil the grates of your grill and heat to medium. Removed the chops from the marinade and shake off the excess. Grill until the chops are cooked thoroughly and have nice grill marks on both sides, about 5 to 7 minutes on each side. Test with a meat thermometer to make sure they are done. Brush on a little of the marinade while the chops are cooking and discard the remainder. 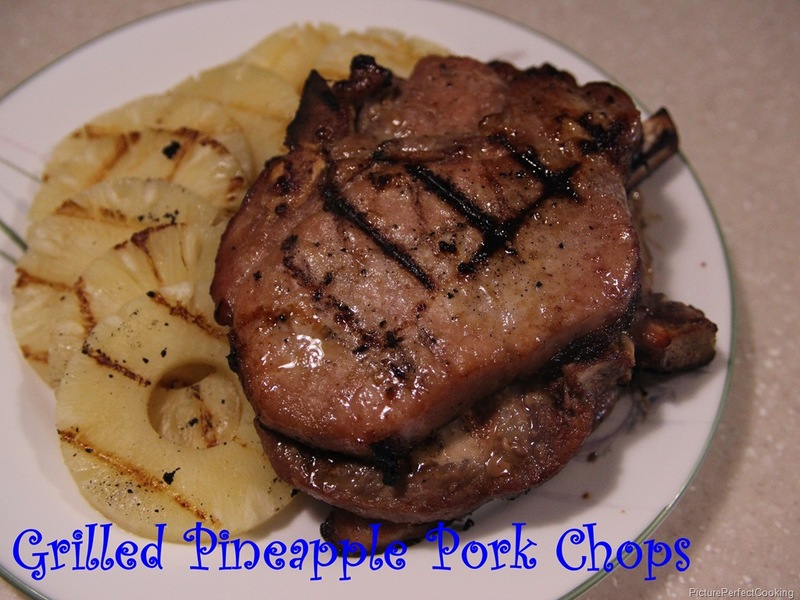 Put the pineapple slices on the grill and cook until they are hot and show grill marks as well. Serve on the side with the pork chops. 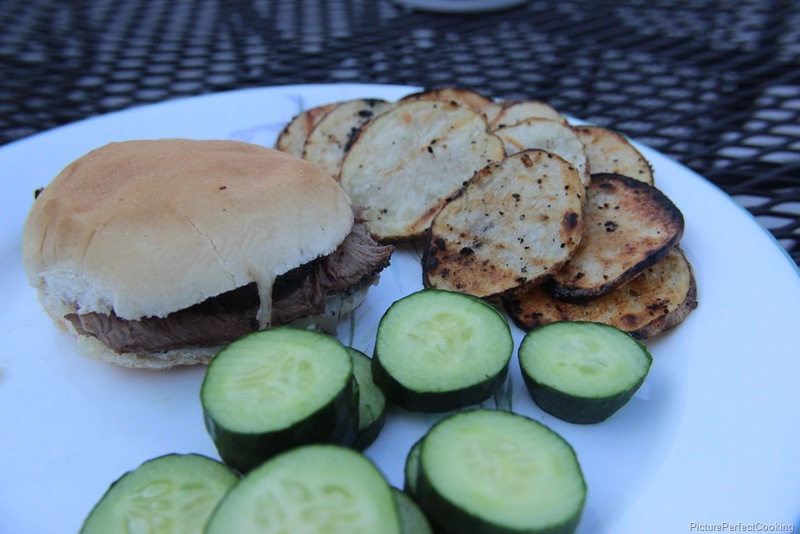 C is a big burger fan, but sometimes I get tired of plain old burgers and try to come up with some new ideas. I have had a few failures, but some successes, too. 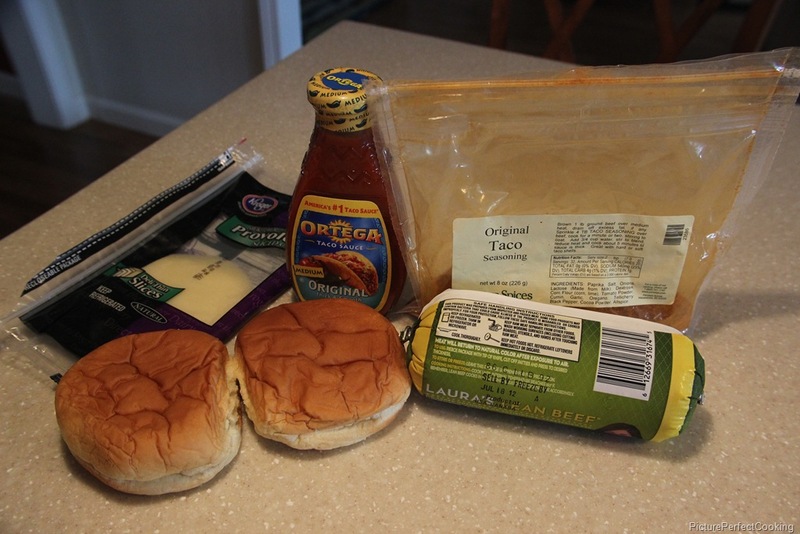 When I posted about my steakburger recipe here, I came up with the idea of a taco burger. Now I know this probably isn’t a new concept, but this is my original recipe and it turned out pretty good. 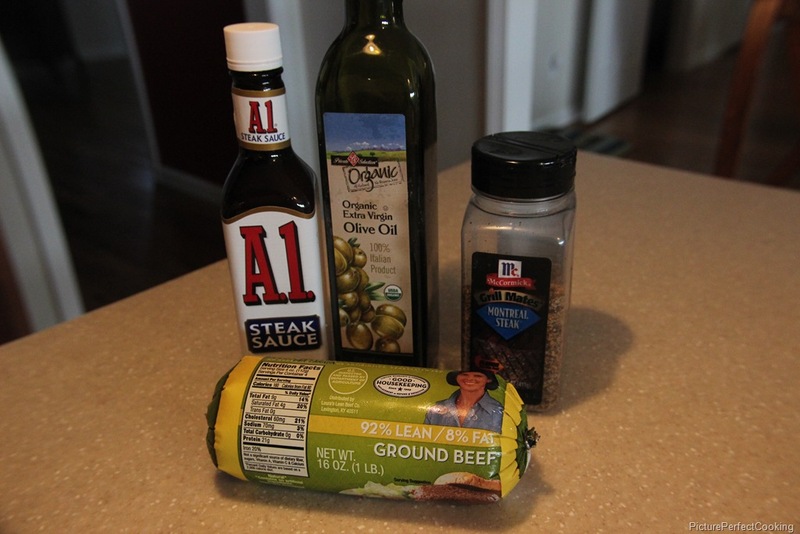 Combine the beef, oil and seasoning and make 2 patties from this mixture. Grill over medium high heat for 8-10 minutes for medium well to well done. Toast the bun. Add the cheese and continue toasting until cheese just starts to melt. Add the burger patty and top with taco sauce. 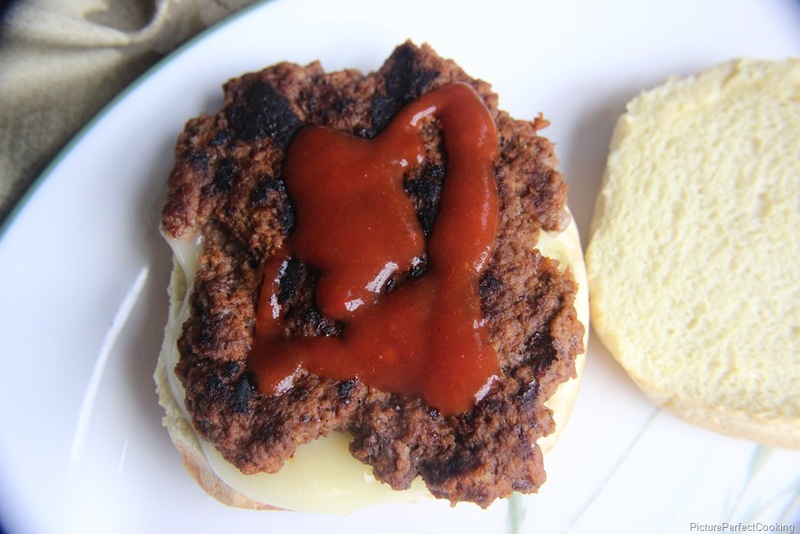 I guess this title might be a little misleading because these hamburgers are just good ol’ ground beef, but I use steak seasonings and sauce to give them a little kick. This is my own original recipe so feel free to adjust the flavors to suit yourself. You could also use taco seasoning with taco sauce for a Mexican flair. Hmm, I might have to try that one. The recipe results in 4 quarter pound burgers. 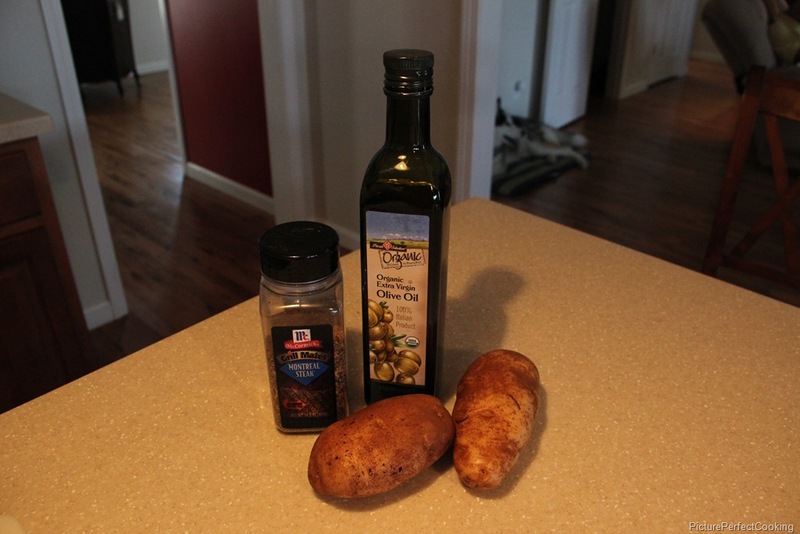 I had made a double batch for a Sunday dinner at my grandmother’s house so the photos show that. Mix all of the ingredients together and form into 4 same sized patties. 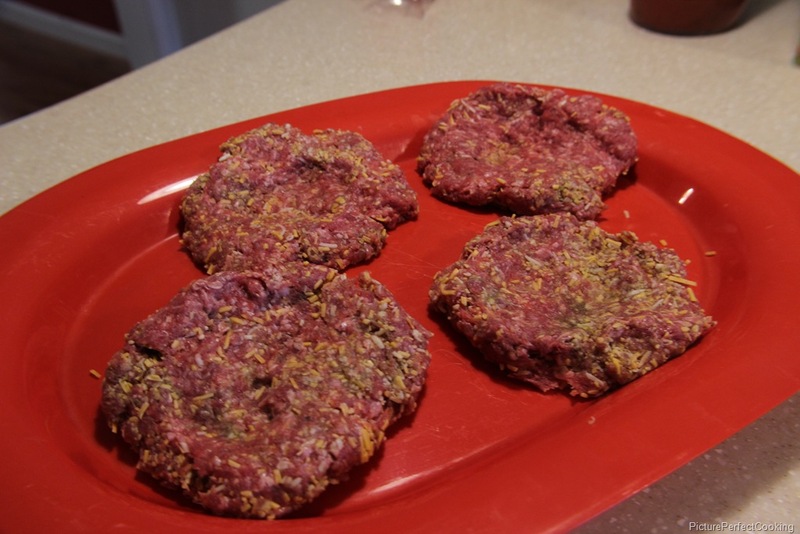 If you have time, let the patties chill in the fridge for an hour or two. It makes them easier to work with. 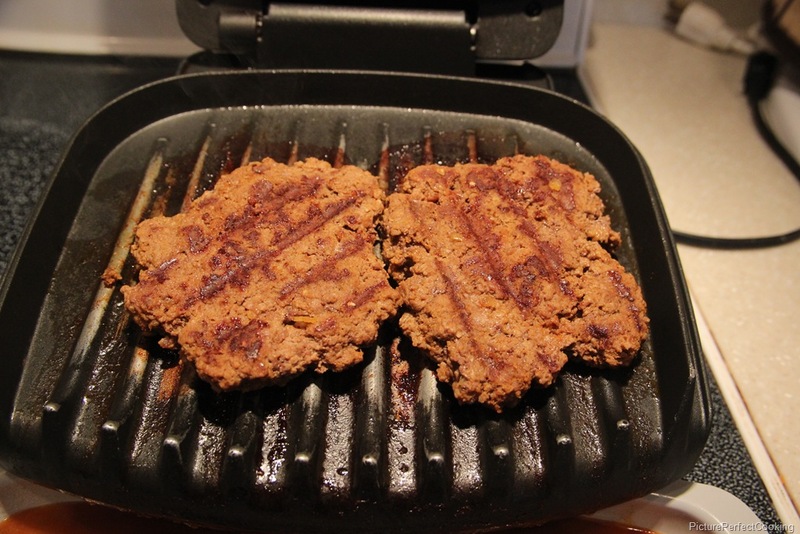 Preheat your grill to medium heat and lay the patties on the hot grill. Cover and allow to cook for 5-6 minutes. 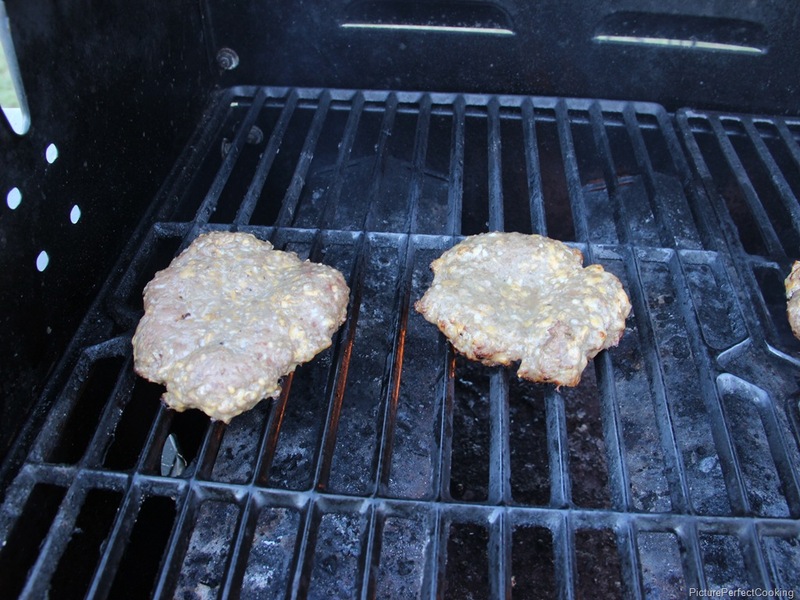 Now here is a great tip that I have learned in my limited grilling experience…once the patties are on the grill, DON’T MESS WITH THEM! Turn them once and only once. Don’t mash on them because you will just lose all of the good juice and flavor. Leave them alone! Flip after 5-6 minutes have passed and cook for another 4 minutes. While these are finishing, butter both sides of your buns because they are going on the grill, too. 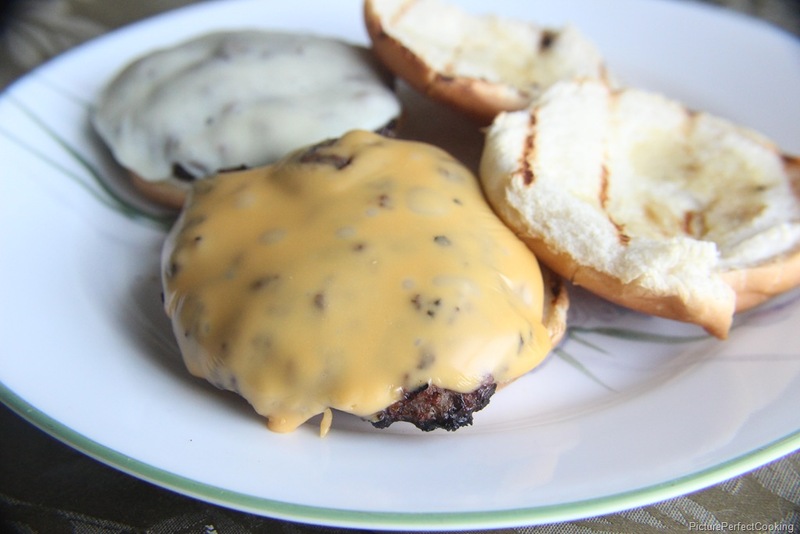 Once the burgers are done, move them to the cooling shelf of your grill if you have one and put cheese on them if desired. The cheese will melt with the residual heat. 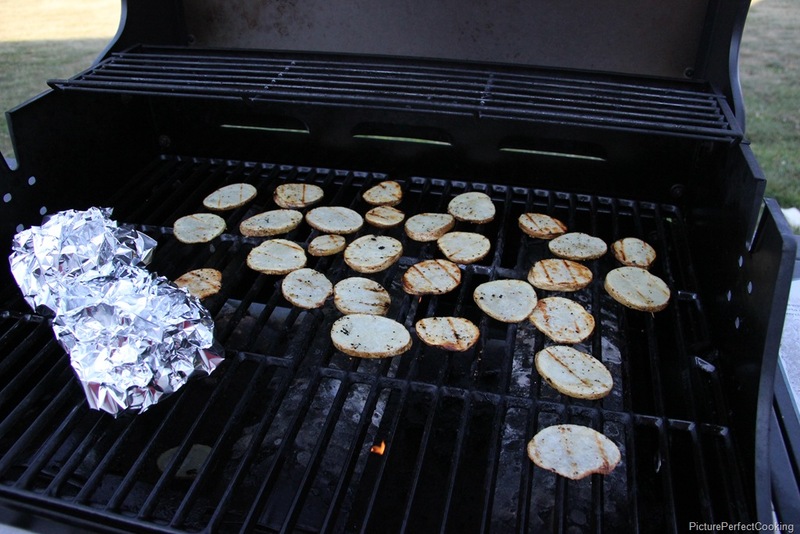 Place the buns on the grill and cook for a couple of minutes. Check to see if the butter is melted and you have a few grill marks then flip and cook the other side. 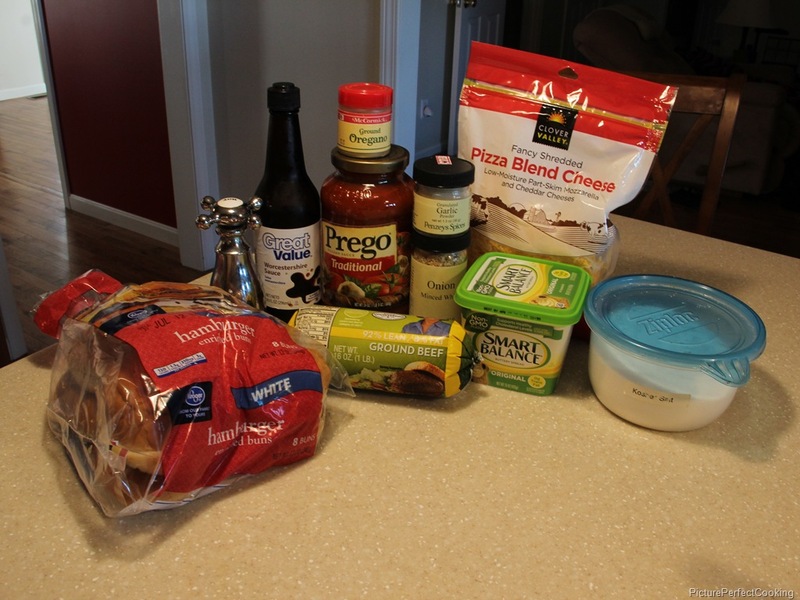 Assemble your burgers and add your favorite burger toppings. Please join me at Miz Helen’s Country Cottage for Full Plate Thursday. 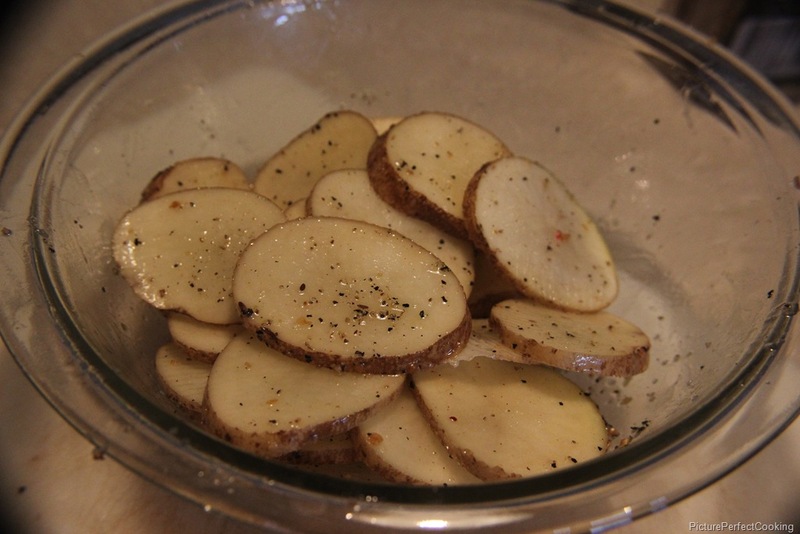 We are a bunch of potato lovers around here…fried, baked or grilled. We will eat them just about any way so when I found this recipe from Skinny Taste on Pinterest, I knew I HAD to try it. 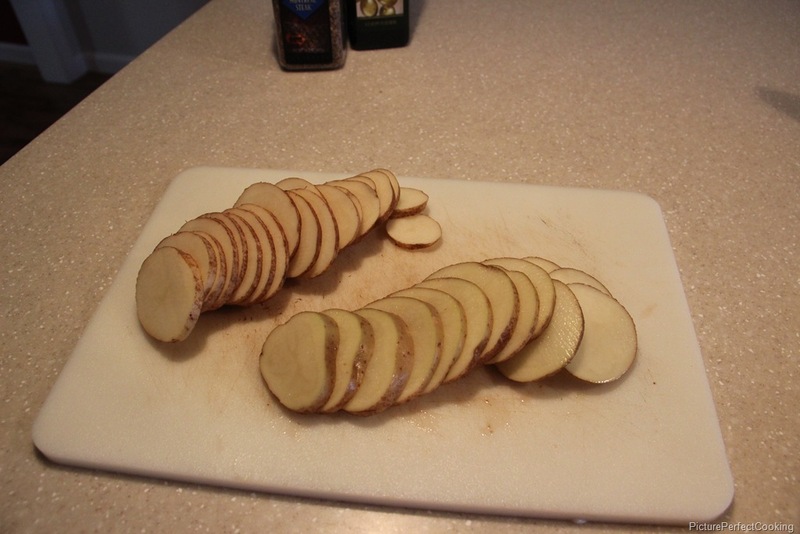 This is a great way to fix potatoes on a hot day when you don’t want to heat up your kitchen. Just throw these on the grill with whatever else you are cooking and your whole meal will be ready in no time. 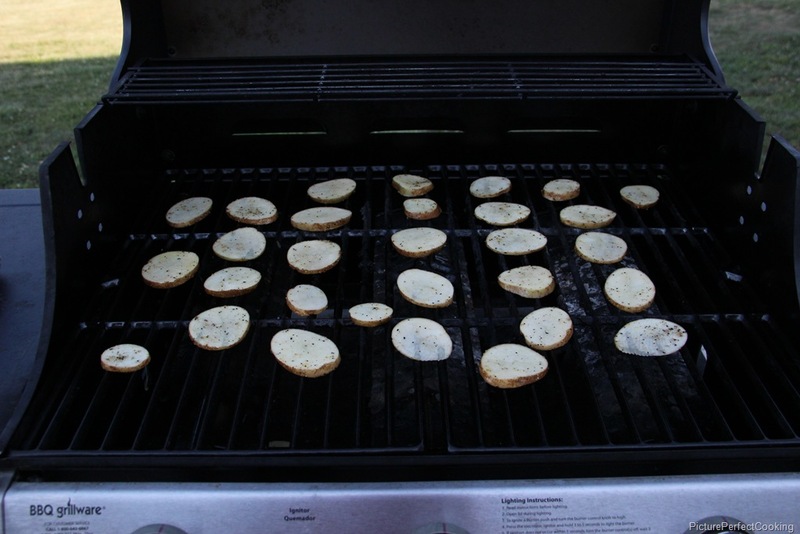 Preheat the grill to medium-high heat and slice the potatoes to about 1/4 inch thick pieces. Toss the slices with the oil and seasoning. I didn’t put quite enough seasoning on mine, so go pretty heavy handed with them. Lower the heat to medium and put the slices right on the grill grate. Cook on the first side for about 7-10 minutes or until they slices are golden brown. Turn and cook until they are done to the crispiness you prefer. 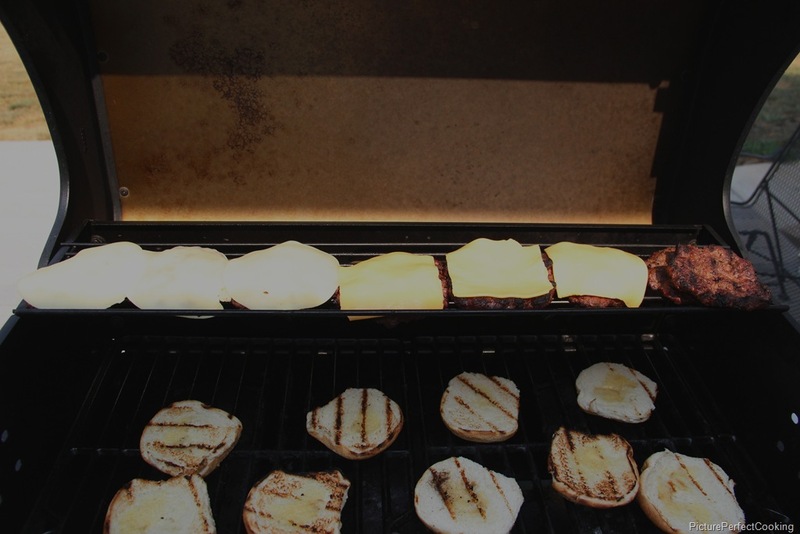 You may have to adjust the temperature of your grill if they are getting too dark or not dark enough. Just keep an eye on them. 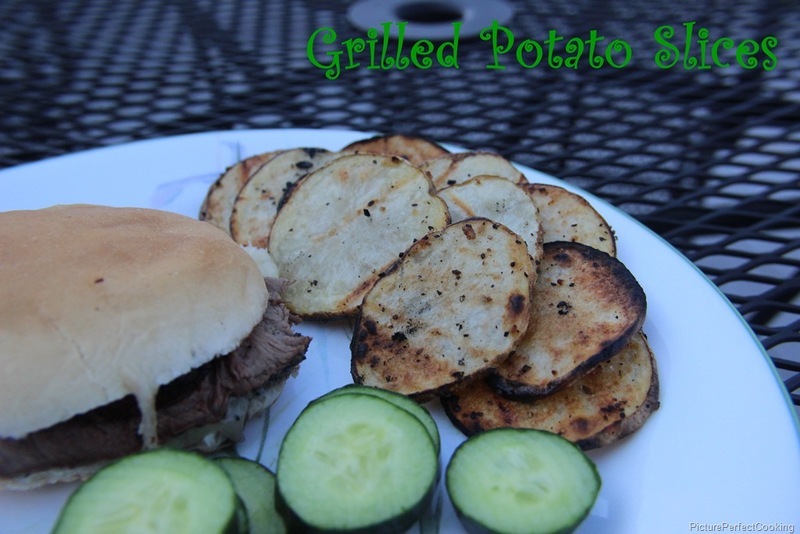 I served these with cheesy steak sandwiches and fresh cucumbers from our garden. Now that is some good eating!! 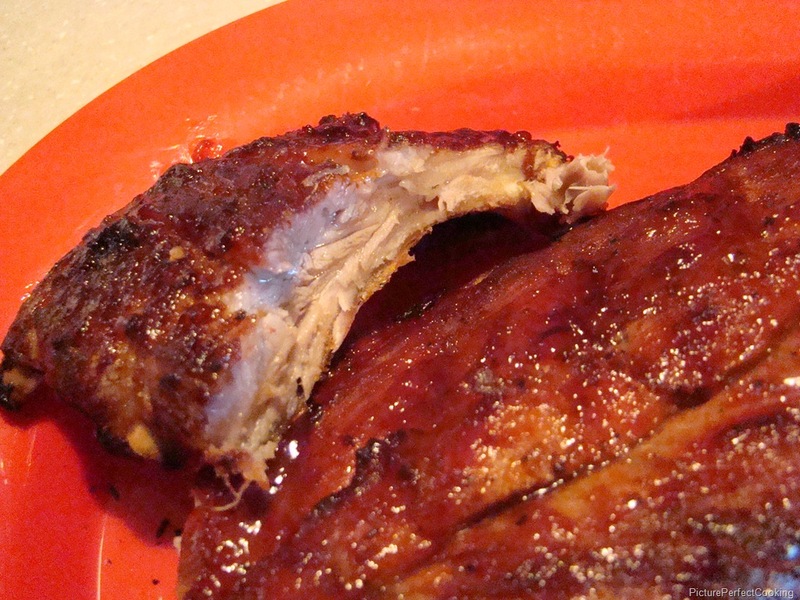 If someone asked me to pick my favorite meat dish, more than likely I would choose BBQ pork ribs. I almost always order that when C & I eat at “steak house” type restaurants and I usually enjoy them. 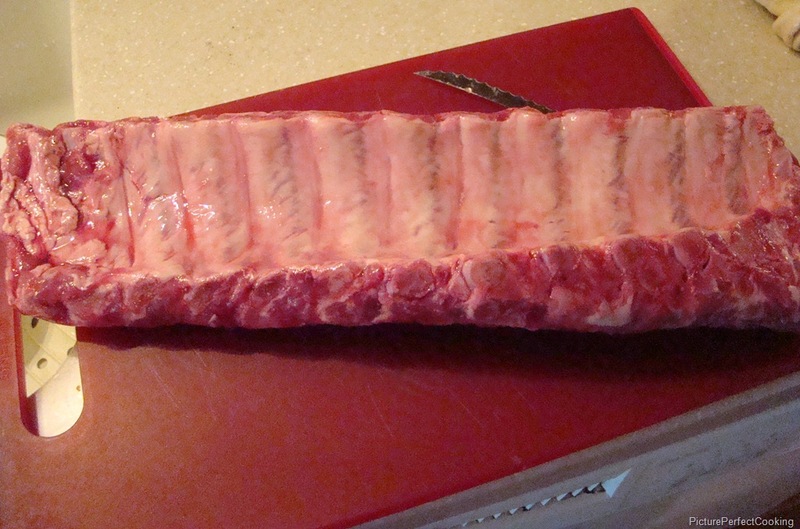 I have wanted to try to duplicate that taste at home, but it is hard to find baby-back ribs at my local groceries. I guess that most of them end up at restaurants instead. Right before Memorial Day weekend, our local Kroger advertised baby-backs on sale no less. I made a quick trip to the next town on my lunch break to purchase some and, wouldn’t you know, I managed the get the very last package that was in the meat case. Whew, that was close! The basis of this recipe was on Kraft’s website and I altered it to suit my taste. I ended up overcooking them just a little because I wanted to make sure they were done. Next time, I will cut the cooking time down by about 5 or 10 minutes and just go by the instant-read thermometer. The recipe below will show the altered cooking time, not the time I used for this recipe. Just remember to check them with a meat thermometer and you will be fine. Preheat your grill to medium heat, about 425 degrees. Slice off the silver skin (the white membrane) from the back of the ribs. This is just connective tissue and will get tough when it is cooked. 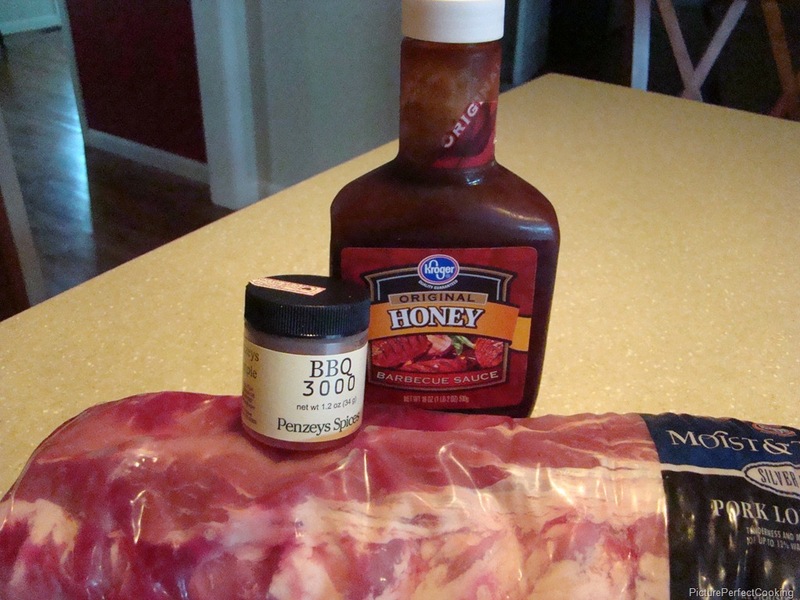 Liberally rub the ribs with the seasoning. 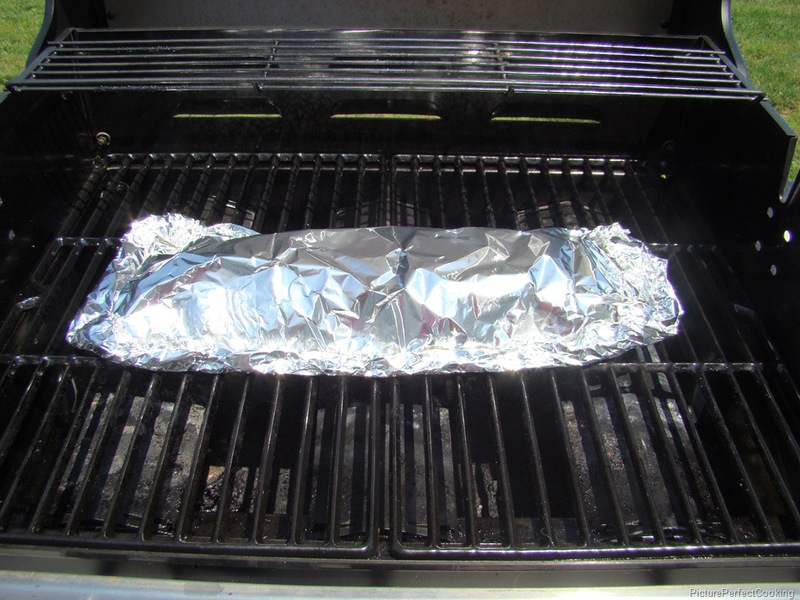 Place the ribs on a large sheet of aluminum foil and then cover with another sheet of aluminum foil. 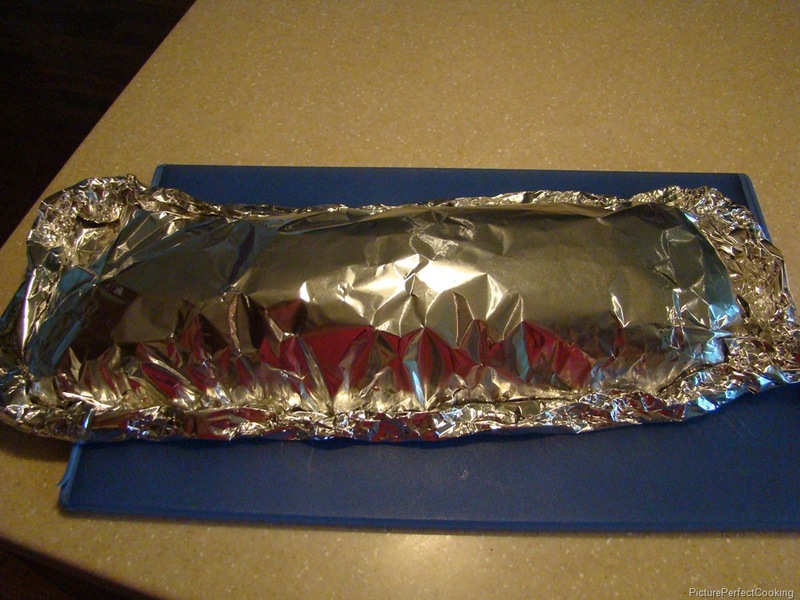 Fold up the ends of the foil so the ribs are encased in a foil bag leaving one short end open. 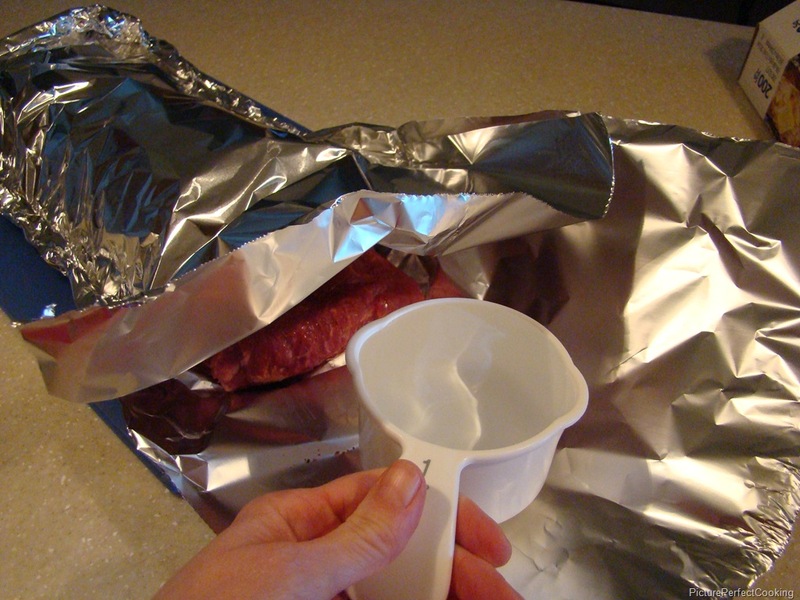 Pour one cup of water into the foil bag and close up the last side leaving just a small hole for steam to escape. 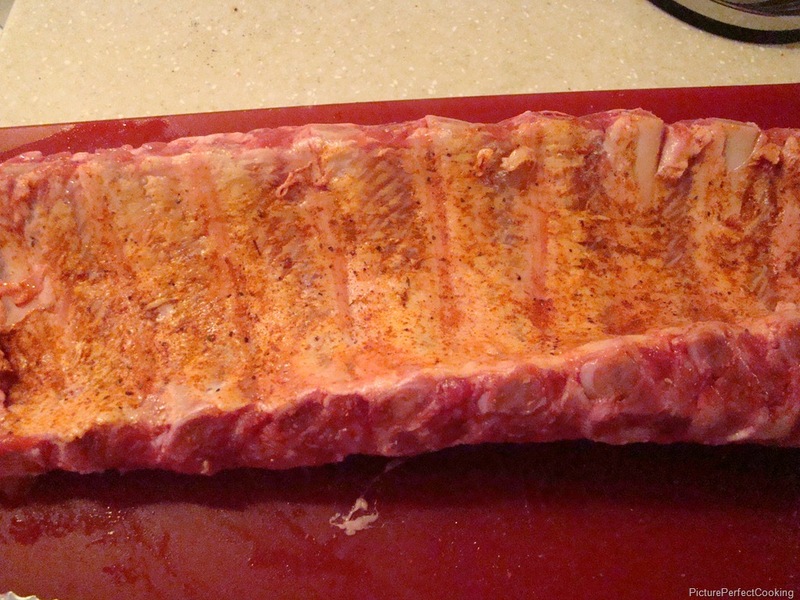 Place the ribs on the preheated grill and cook with the lid down for 40 minutes. Remove the ribs from the foil, but be careful of the remaining water because it will be really hot! 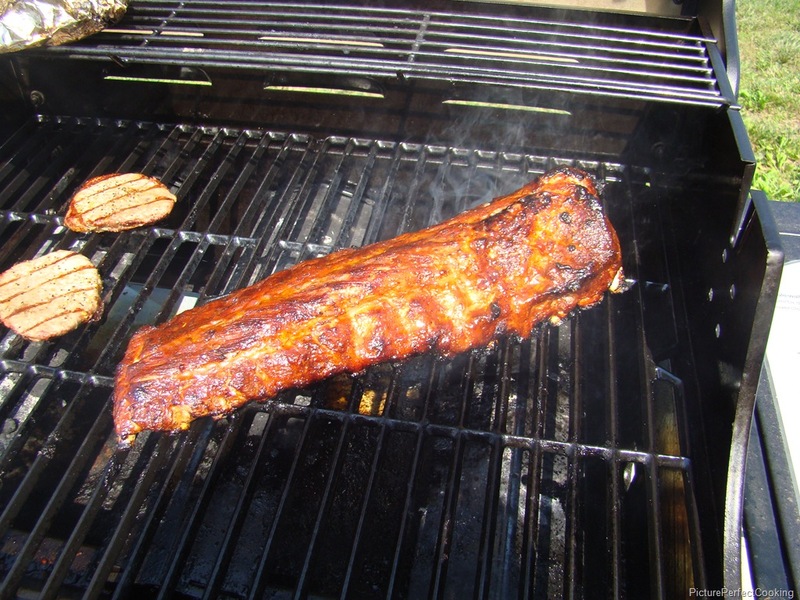 Spread the sauce over the ribs and cook for 10 more minutes or until the internal temperature of the ribs is at least 160 degrees. Take them off the grill and let rest for 15 minutes, slice, and enjoy! Don’t forget your napkin!